Cistern Tanks are ideal for instances when drinking water must be hauled in or if a well just doesn’t meet consumption needs. 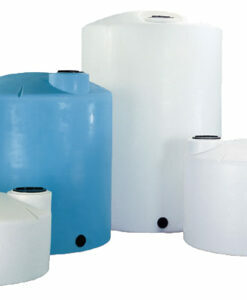 Cisterns are produced with 100% virgin resin which meets FDA specifications for potable water. Where applicable, cisterns have been certified under ANSI/NSF Standard 61. The 325 and 550 gallon spheres may remain in the ground when empty. 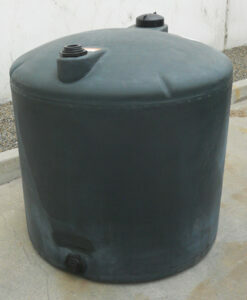 These tanks include a molded-in elevated pump stand on the bottom of the tank. The ribbed tanks (600 gallon and larger) should be filled one-fourth full after installation. Manhole extensions and lid/riser combinations are available for instances where it is necessary to bring access to ground level. 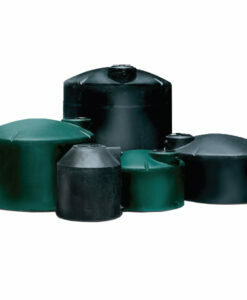 A full range of bulkhead fittings to help adapt the cistern to suit specific needs or applications are available. For further information call customer service. 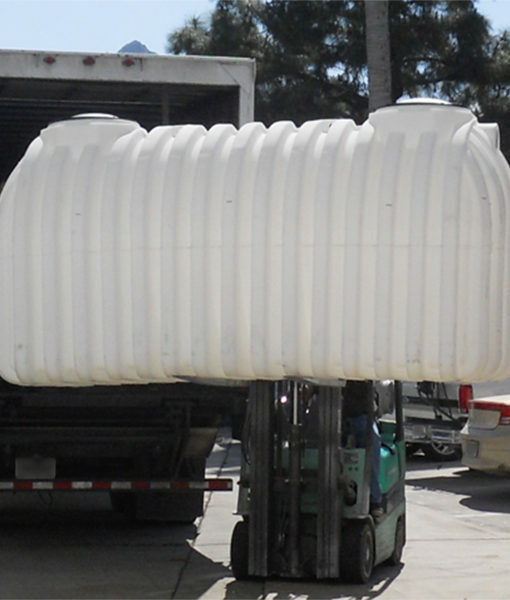 Cistern tanks are manufactured by means of the rotational molding process, which produces a one-piece, seamless, watertight tank. Polyethylene is unaffected by soil chemicals so the tanks will not rust or corrode and require no additional coatings as other tanks do. To create your setup, look at the various sizes we have below. You can then contact a Distributor or Rep in your area to complete the process of ordering. If image is available, hover over for larger view. Yes, it is safe to store water in Peabody’s above ground water tanks and below ground cistern tanks shown on our website. 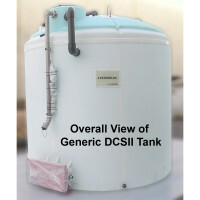 The resin used to manufacture these tanks meets FDA specifications for safe storage of potable water. NSF International, founded in 1944 as the National Sanitation Foundation, is known for the development of standards, product testing and certification services in the areas of public health, safety and protection of the environment. 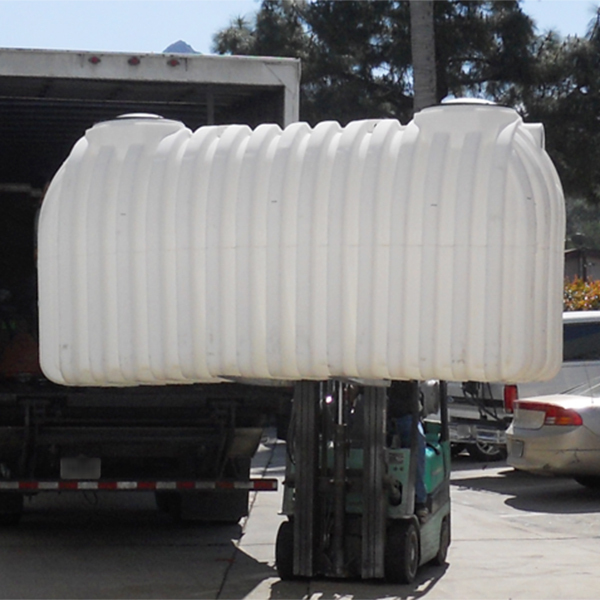 Norwesco was the first polyethylene tank producer to receive the NSF certification, where applicable, for our potable water tanks. The NSF certification process is done on a plant by plant basis. We currently have select tanks that are considered NSF approved that ship from our Shawnee, OK; Tooele, UT; Washougal, WA, Hanford, CA and our Corona manufacturing plant. For further details, please contact Customer Service. 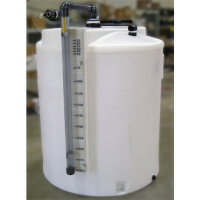 The resin that we use to manufacture our above ground tanks is considered an NSF approved resin. Yes. This is important for two reasons; It helps in the ease of leveling the tank and even inter-rib support during installation and insures that no sharp rocks or other objects puncture the tank during installation. With our standard duty septic tanks (yellow), the answer is yes. This helps stabilize the tank and keeps it from shifting during backfill and equalizes the pressure inside and outside the tank so it does not become deformed during installation. 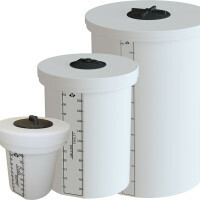 Filling a Bruiser or cistern with water while backfilling is recommended but not required. In most state and county regulations or codes there is a direct correlation between the number of bedrooms and the size of the septic tank required. Please check with your local sanitarian or health department prior to purchasing any septic tank. The installation instructions can be found under the edge of the lid.